We’ve been looking at duplicate content a lot recently, and while it’s important that you yourself don’t use content that has been published elsewhere on the web, it’s also essential to ensure that other people aren’t using your content which you have spent time/ money creating. 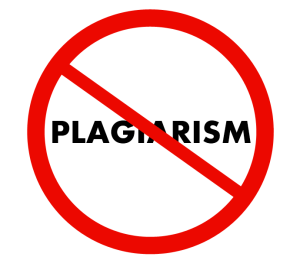 This week we’re looking at online plagiarism and what you can do to counteract it. For all companies with an online presence, there is a constant need to create more content to feed both the masses of information-hungry consumers and the search engines. The latter are always on the look-out for content which is high quality and fresh, and that’s why most businesses hire web copywriters or enlist the services of copywriting agencies. Unfortunately, the temptation to cut corners by simply copying and pasting (read: stealing) is too great for some businesses and individuals, particularly at the lower ends of the market. They may not have the resources to create their own content on a regular basis, or they may simply be looking for a free ride on the back of someone else’s hard work. Either way, you need to be vigilant about other people copying your online content. Google and most other search engines have a strong dislike for duplicate content, as it doesn’t offer anything new or of value to their users. To this end, they have tuned their algorithms to detect duplicate content and filter it out. Duplicate pages will not be indexed by the search engines, whilst a website that is deemed to be deliberately using duplicate content to game the search results may acquire further penalties. Unfortunately the algorithms aren’t always as good at working out who actually created the content first, and if your copy has been plagiarised you may find that it’s your page that doesn’t get indexed. SEO issues aside, allowing other websites to get away with duplicating your content can harm your brand significantly and will diminish the ROI you get from your content marketing. So what can you to detect such plagiarism? Constantly scouring the internet for evidence of people copying your content would of course be somewhat laborious and time-consuming. Fortunately there are a number of tools that have been developed to make it much easier. Copyscape – Copyscape is one of the most popular tools for detecting plagiarism out there. With the free version you can simply type in the URL for your site and it will instantly tell you if there are any duplicate versions of your content out there (even if it has been amended slightly). The CopySentry professional version meanwhile provides an even more powerful anti-plagiarism tool, which will automatically monitor the internet for duplication of your content and email you when it occurs (prices start at $4.95 a month for 10 pages, and an additional $0.25 per month for each page above this). Grammarly – Similar to Copyscape but Grammarly will also check your grammar and spelling for you. If you want to give your content a thorough going over to check its effectiveness and whether it’s been plagiarised, then this tool can be particularly handy. Prices start at $12 a month. These are two of the most popular, but there are plenty of other plagiarism checkers out there, some of which are free to use. Once you’ve detected copies of your content, you’ll want to get rid of them. The best way to do this is to identify who owns the site, and to politely but firmly inform them that you are aware of the plagiarism, and remind them of copyright laws and the potential consequences of breaching these. In most cases the offender will remove the content fairly quickly, as they have little to gain from being sued. In our next blog we’ll be taking a more in-depth look at copyright and web copywriting.